At The Allan Practice, we are pleased to offer a large number of services available to patients through Online Access. Via Online Access patients can book appointments, order their repeat medications, view their medical record and send secure messages to the surgery all online. We are aware that our telephone lines can be incredibly busy which is why we are so keen for our patients to make the most out of the online services we provide. Available 24/7, 365 days a year the service allows patients to take control of their medical care without the need to call their doctor's secretary or wait until the surgery is open. There are a number of easy ways to sign up for Online Services, depending on the level of access you would like. "I want to be able to order my prescription, book appointments and send messages." To gain the basic level of access to Online Services you have three options to register. 1. You can fill in the registration form here at surgery. You will need to provide a proof of identification, such as a passport or drivers license. On completion, you will be emailed your initial log in details to complete your registration online. 2. You can fill in the registration form online. Once complete, you will need to prove your identity in surgery with a photo ID. When you've done this, the surgery will 'activate' your account, at which point you will be able to log in to the account you originally set up. 3. Email: onlineaccess.theallanpractice@nhs.net with your name, date of birth and address and one of our IT team will email you back with your initial log in details. "I want to be able to order my prescription, book appointments, send messages and view my medical record." To gain full access to Online Services you will need to complete the registration form at Reception and show a photographic ID. Once the form is handed in to Reception, it will be processed by one of our IT team and you will be emailed your initial log in details to allow you to complete your registration online. Once you've completed your initial registration, you will be emailed your initial log in details. If you do not provide an email address when you apply for Online Services, your initial log in details will be printed and made available for you to collect at Reception. If you are experiencing problems with your Online Access account, please email: onlineaccess.theallanpractice@nhs.net and a member of our IT team will work with you until the problem is sorted. The Allan Practice are running Online Access Classes, designed to help patients with the basics of how to use the Patient Access website. If you're interesting in getting some extra pointers for Online Access, speak to your doctor's secretary or email: onlineaccess.theallanpractice@nhs.net to book in to our next class. 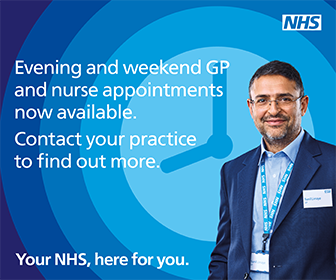 If you'd like some help setting up your account, please email: onlineaccess.theallanpractice@nhs.net or call your doctor's secretary, and we can try our best to organise a time for you to meet with one of our IT team. Our dedicated team are here to treat minor ailments, as well as providing specialist management of long-term conditions and clinics addressing a wide range of healthcare issues. Advances in online services enables patients to access a number of our services from home, including ordering repeat medications, booking and cancelling appointments and viewing their medical records. Once registered, patients and healthcare professionals work together to ensure the most appropriate care is provided. This partnership extends to encompass our Patient Participation Group, which exists to ensure that the practice is always offering services to meet patient need. There is access for wheelchairs to all surgeries and treatment rooms at Calcot Medical Centre as well as a disabled access toilet on the ground floor.